Do you need a reliable contractor to install, maintain or repair your boiler? Tuckey Mechanical Services, Inc. has five decades of experience with HVAC systems. Customers in Carlisle, Harrisburg and the rest of Central Pennsylvania choose Tuckey for services like boiler repairs and installation. Make us your first call when you need boiler or heat pump repairs, and you’ll see why we earned our reputation as the area’s leading service team. You can trust us with this crucial part of your heating system. A boiler heats water that gets distributed through pipes in your home. When your boiler breaks or stops working at peak efficiency, you need a fast and top-quality repair service. If you plan on investing in maintenance or a new heater, you want someone who handles the job well. Our team members understand the ins and outs of every type of heating system. Call on our experts for reliable boiler services and installation. 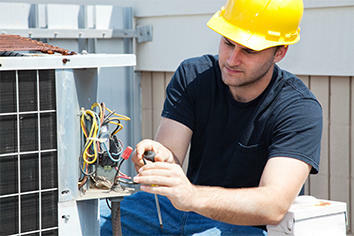 There’s no shortage of HVAC contractors in the South Central PA area. So, what makes Tuckey Mechanical Services your best choice for boiler repairs and installation? For years, we’ve been considered the professional’s choice for HVAC service in Harrisburg, Carlisle and beyond. We have the staff and the experience to handle repairs of any size. Our commitment is to completeness and quality – no rushing and no cookie-cutter jobs. Consider Tuckey Mechanical Services your one-stop shop for every step of boiler ownership. We sell and install brand-new boilers for your convenience — choose a model, and we’ll take care of the rest. If you have a brand-new property, we can design a boiler heating system from the ground up. When your boiler malfunctions, call on us to solve the problem. A warm home keeps its inhabitants comfortable during the colder months. If a boiler breaks down during the peak of winter, the situation can escalate beyond mere discomfort. We understand that some issues need a fast solution to ensure your safety and comfort. That’s why we provide 24-hour emergency services to our customers. Simply call our 24/7 service hotline at (717) 249-1535 to request immediate help. Of course, keeping your boiler running at its best is always preferable to needing emergency service. When you sign up for preventive maintenance service for your boiler and HVAC system, you can rest easy knowing that they function properly. You’ll save money too, as you’ll prevent major problems before they start. Why risk your family’s comfort? Sign up for a boiler preventive maintenance plan and stay warm in the winter and protected from the hassle and expense of emergency repairs. With an emergency response team that responds to your needs quickly, and full-service design and installation consulting, no other HVAC contractor in the area offers the range of services we do. We provide boiler repair and other services for customers in Harrisburg, Carlisle, and throughout Central Pennsylvania. Request our expertise by contacting us online today.